A big, fat Indian wedding is no less than a festival. Fancy lights, delicious food, bright colours and a mood to celebrate surely makes you want to set your best foot forward. Whether you are the bride’s sister, mother or best friend – your outfits require meticulous planning in advance. This guide by Meena Bazaar on different wedding outfits will set you on the right path. It’s your daughter’s big day! Even though you are pre-occupied with all the arrangements, don’t forget you are the host and need to look the part as well. Here’s what we recommend for you. A soft tone sharara paired with a loose bun will set you at ease for a mehendi function. A shimmery peach lehenga will add just the right amount of dazzle and elegance to your cocktail look. For the wedding, the bride’s mother should opt for something traditional. 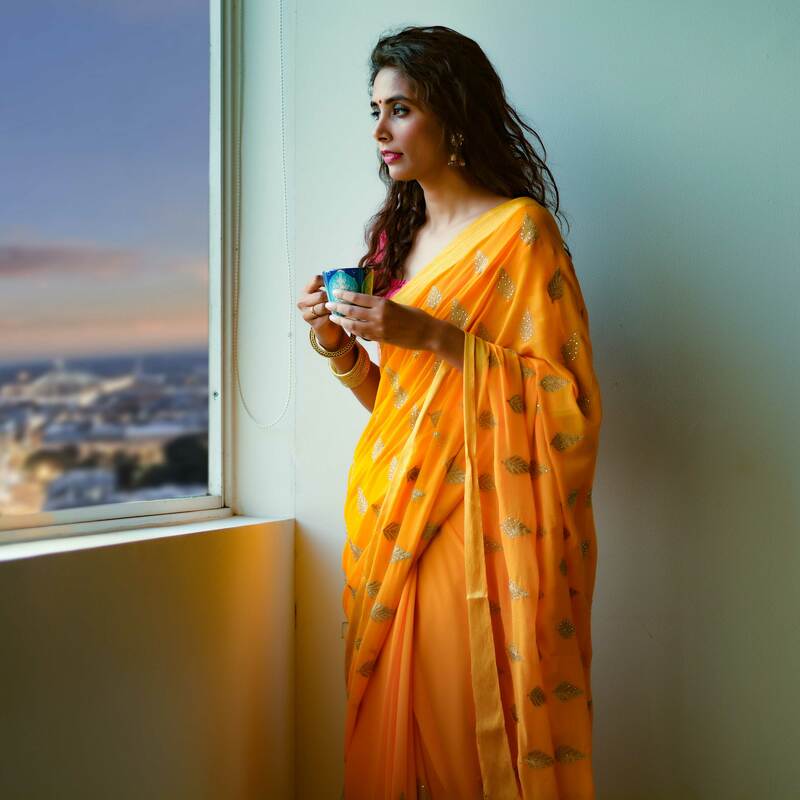 A Kanjeevaram saree will be an apt choice for the occasion. Get ready to have a blast on your elder sister’s D-day! You can opt for interesting styles and designs, edgy blouses and colourful dresses for different functions. A pre draped saree is the way to go for you so you can dance freely at your sister’s mehendi without being weighed down. Stand out from the crowd in a lightweight lehenga with an off shoulder crop top. Colours like royal blue and gold will make you look bewitching without putting in too much effort. Make a statement with this pink Banarasi lehenga. Keep your jewellery and makeup to the minimum and let your outfit take the centre stage. Instantly perk up your look in a bright green straight cut kurta. Team it with pretty jhumkis and you are ready to rock her mehendi party. Your bestie in red, you in green – makes for very pretty pictures! Besides, this colour will look great at night. Your friend is going to be decked up in all finery. This is the time for you opt for a subtle look and add contrast with muted colours.